Christopher is a Full Time, Full Service Independent Residential Professional REALTOR®! 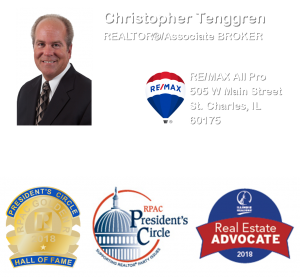 Christopher Tenggren is one of the Fox Valley’s premier real estate professionals. As a successful veteran with years of experience helping clients achieve the dream of home ownership, he has been recognized at the local, statewide and national level for his industry expertise, knowledge and leadership as one of the top professionals in the real estate landscape. Highly sought after by clients and colleagues alike for his expertise on Fox Valley area real estate, Christopher has demonstrated the skill and caring unmatched by his peers. He offers a rare and unique combination of exceptional service and efficiency coupled with extremely competitive services. One of the most important attributes of his operating philosophy is to proactively educate his clients on processes, and to deliver expectation exceeding results. Christopher is also a committed REALTOR® Leader and has served on the Local, State & National levels of the REALTOR® Association and on Numerous National Association of REALTORS® (N.A.R.) 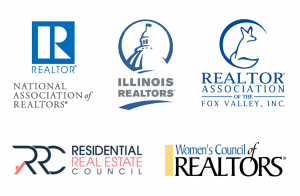 Institutes, Societies & Councils Committees, including as 2012 REALTORS Association of the Fox Valley President, as well as a 2008-2013 & 2015-2018 Director, has served as a 2010-2012 & 2014-2015 State Association Director, 2010-2011 & 2014-2015 National Association Director, and on the National Association Executive Committee for 2014-2015. He has also served as a 2014-2015 Executive Committee member on N.A.R.’s Residential Real Estate Council® (RRC Formerly CRS), and on that Board of Directors from 2012-2016. It’s easy to see why Christopher forms so many trusted relationships between his real estate agent peers, as well as his clients. He is at the pinnacle of success in the real estate industry and combines this drive for success with dedication, industry & market knowledge, and compassion. And, he works very hard everyday in order to truly live up to his Brand Statement… “When Excellence Matters – Count on Christopher”! Christopher has been a Fox Valley area Resident since 1995. All REALTORS® are not created equal! Just ask anyone who’s bought or sold a home. Finding the right professional REALTOR® is one of the most important steps you’ll take in buying or selling real estate. To View Chritopher’s Full Resume… Click Here! REALTOR® Designations and Certifications can mean the Difference! 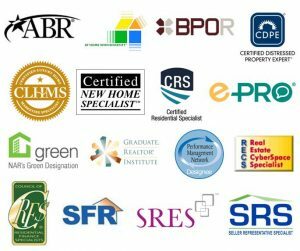 What are REALTOR® Designations and Certifications? “These are the marks of Expertise and Service” according to the National Association of REALTORS® (NAR®). 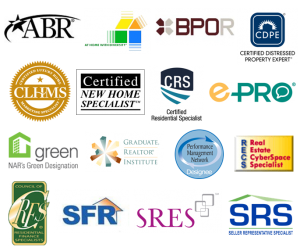 NAR® offers Designation and Certification programs to its members (including the ABR®, and GRI® designations, and the ePRO® certification program), and a variety of affiliates as well as third party industry organizations that provide education and Designations acknowledging experience and expertise in various real estate sectors. To Learn More About Chrisopher’s Professional Designations, Certifications & Affiliations… Click Here! To Learn All About Christopher’s Strategic Partnership… Click Here! 45 Years of Outstanding Agents & Outstanding Results!